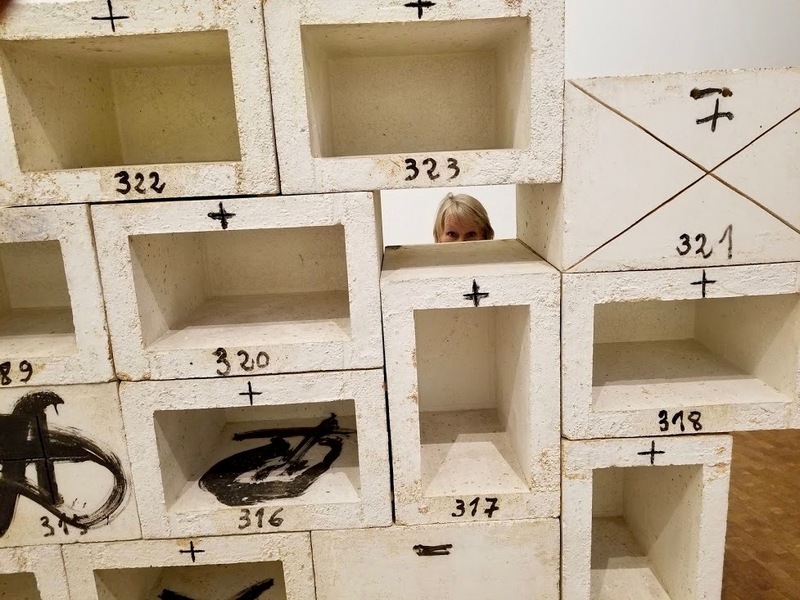 Caught peeking through an installation at Fundación Antoni Tàpies. What a week! Probably our busiest one yet on this year of adventure…and I must give thanks to the friends who insisted that we not just visit this area but that we allow plenty of time to enjoy the wide range of delights to be found here. 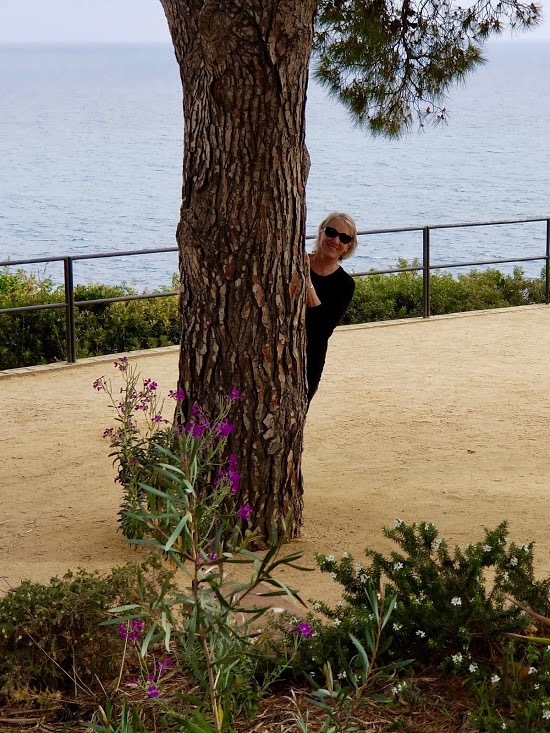 As it stands, we already know we want to return to go to restaurants we missed, to linger in museums we found captivating, and to just soak up the Costa Brava vibe. Our flat was about 30 minutes north of Barcelona in the lovely beach town of Lloret de Mar. 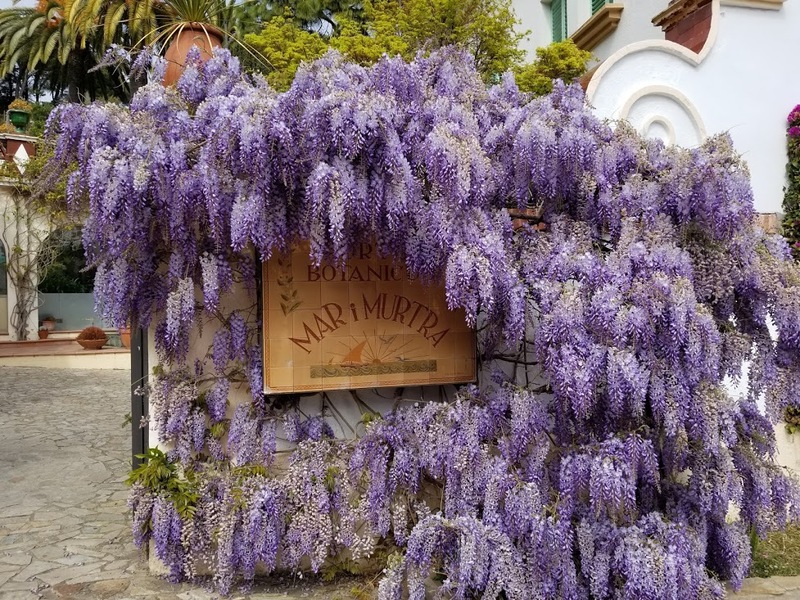 This allowed us great access to picturesque fishing villages, regionally-themed restaurants, and quiet times away from busy streets and crowds in Barcelona proper. It also helped that we were not here in high season. From the amount of beachfront development, it is obvious that this place gets its own share of crowds when summer rolls around. Freshly arrived and a bit travel weary, our first day’s outings were simple: the supermarket for some basics, the near-by train station to check on ticket and timing logistics, and a visit to Marimurta Botanical Gardens. 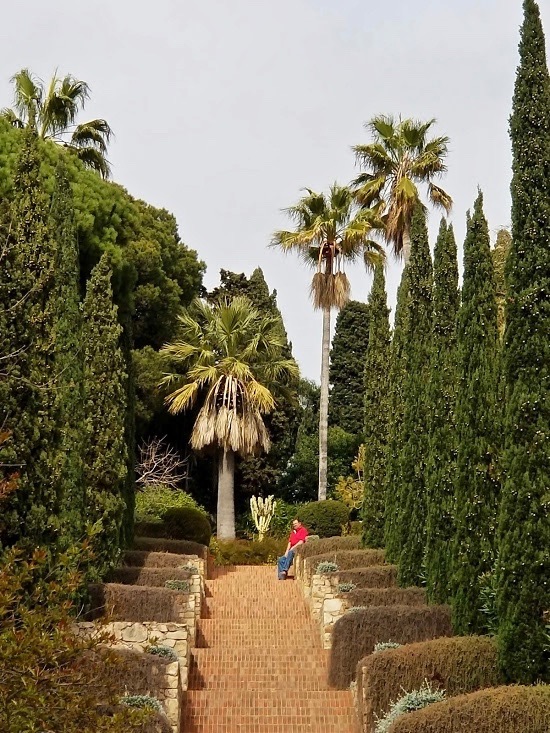 Located high on steep cliffs that run along the Mediterranean Sea, the garden has both panoramic views and extensive gardens with many exotic plants. Though early in the season, we were still able to see many unusual flora. 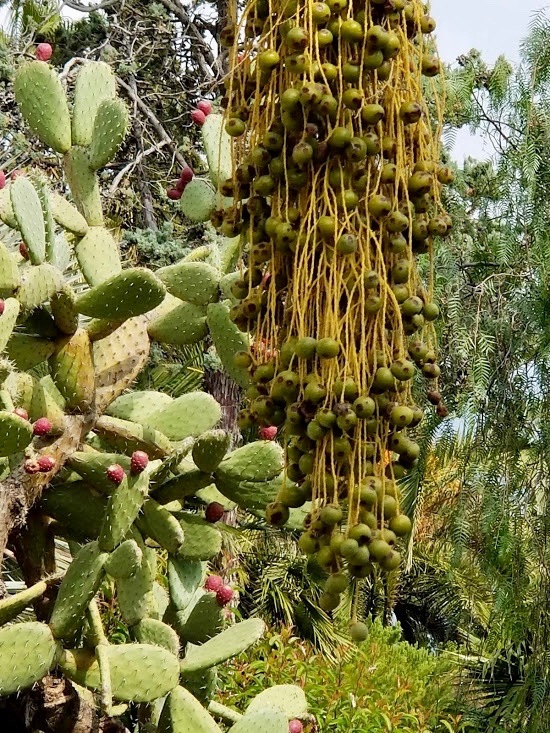 These seed pods on a cactus reminded us of olives. As is typical in our marriage, Bob and I chose alternate routes of investigation. He stayed on the high road. Wanting to get closer to the water, I opted for the the low road. 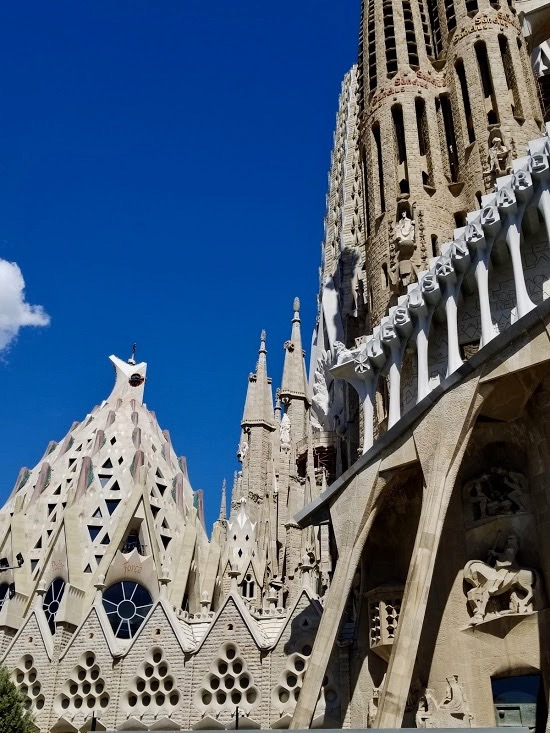 Following our travel planning routine, we had made a list of museums to visit during our stay and discovered that six of them were included in the Barcelona Articket. Our goal then became to see all six of them in 2 days. This was possible because we trained in from our flat to city center (a 90 minute scenic ride right along the coast) and caught a Hop-on-Hop-Off bus that delivered us to the various locales. We used two different bus routes and got to see a lot of Barcelona in the process. 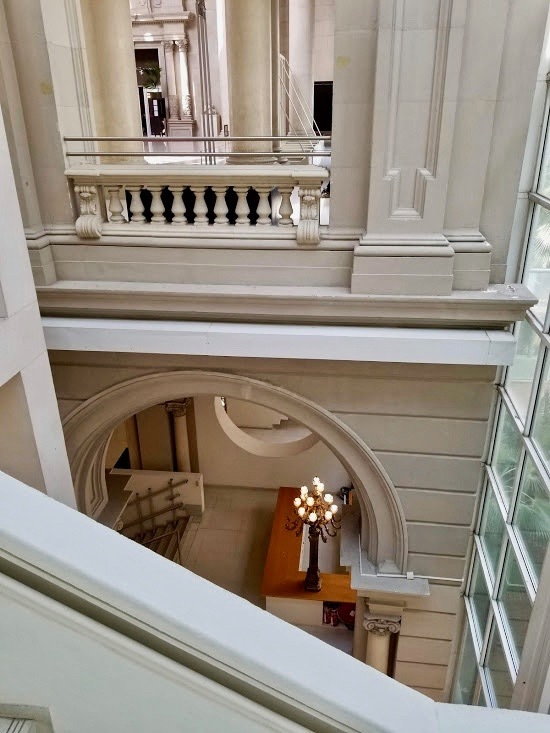 First stop: Museu Nacional D’Art de Catalunya, a gorgeous building that featured two wings of Modernisme – a movement based on the cultural roots and reidentification of Catalunyan identity. Its main form of expression is in architecture, but many other arts are involved (painting, sculpture, literature, drama etc. 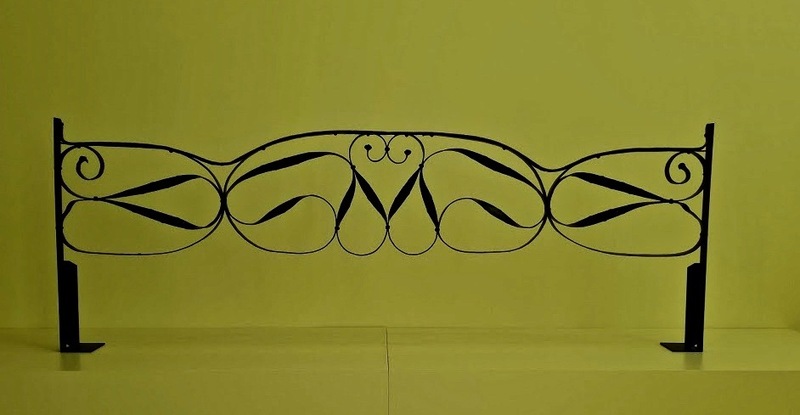 ); throughout, there is an especially strong emphasis in design and the decorative arts. Remember this as the photos continue and you will come to see how Barcelona embodies the Modernisme ethic. 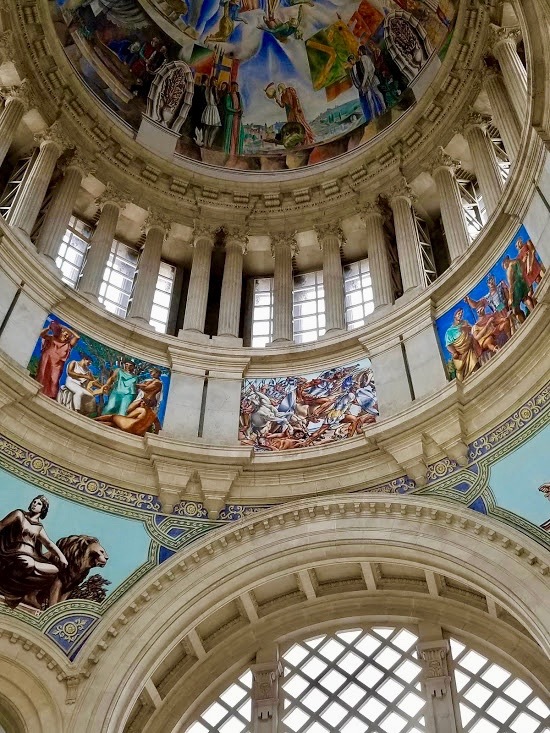 The painted cupula in the center of the gallery. A lovely example of Antoni Gaudi iron work. 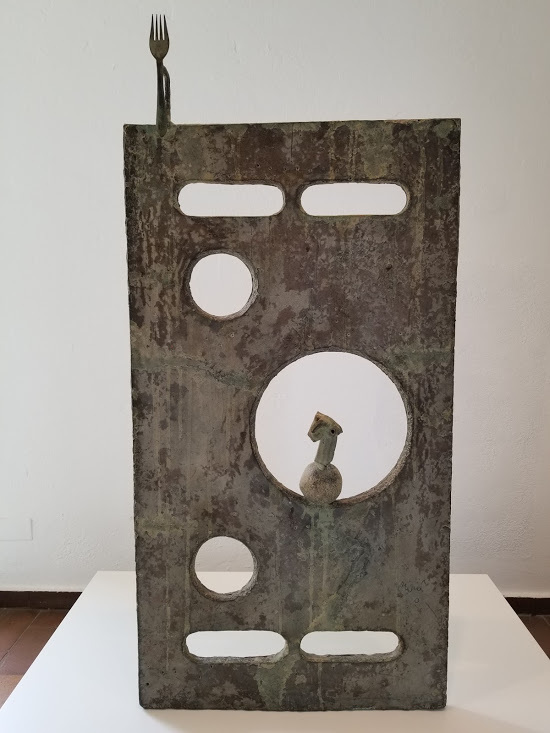 Gaudi, who practiced in the family iron trade before becoming an architect, was a leading proponent of Modernisme and most of his buildings are in Barcelona. His style was innovating as he played with the balance of space and volume, showing his genius for 3-dimensional creations. 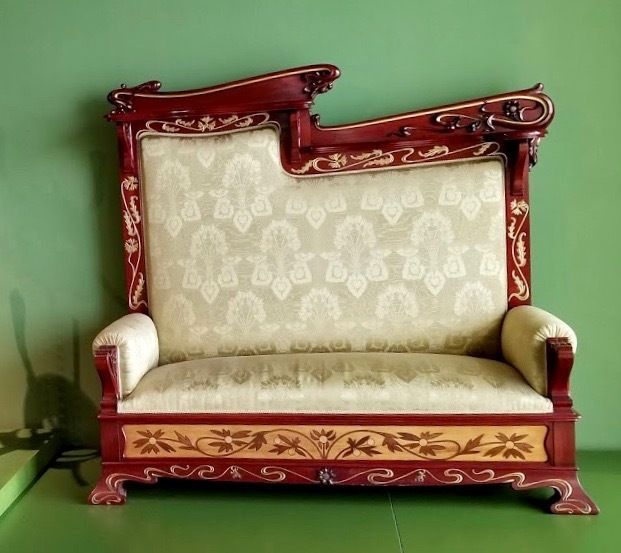 Sofa (designer unknown, amazingly…). This made me think of something out of a Disney set. Alice might have sat upon this sofa for tea in Wonderland. On to the Fundació Joan Miró. 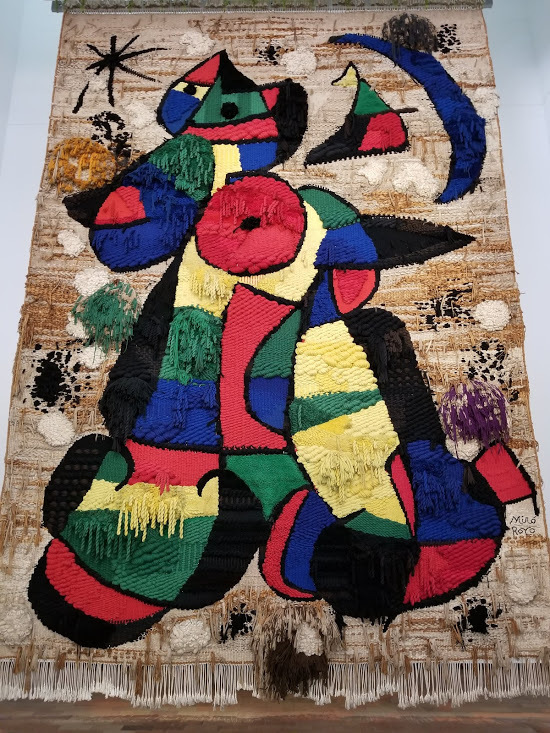 We had seen lots of Miró’s work during our visit to The Maeght Fondation in St. Paul de Vence, where they have a large Miro maze filled with is sculptures. We were eager to see how the two collections compared. Our conclusion: the Spain museum has more diversity and many more large pieces. The tapestry above takes up an entire back wall. 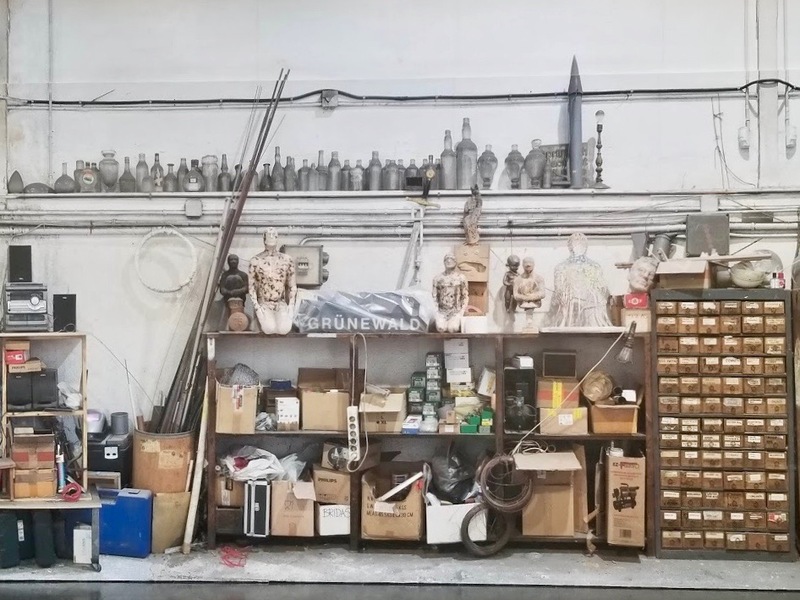 We are retitling this work “Bob in a blown-apart box”. Something whimsical to make us smile. Our favorite rooftop siting. We then took a nice walk around a public park and garden before hopping back on the bus… we had places to go and more art to see! In the courtyard entrance to MACBA, the Contemporary Art Museum. 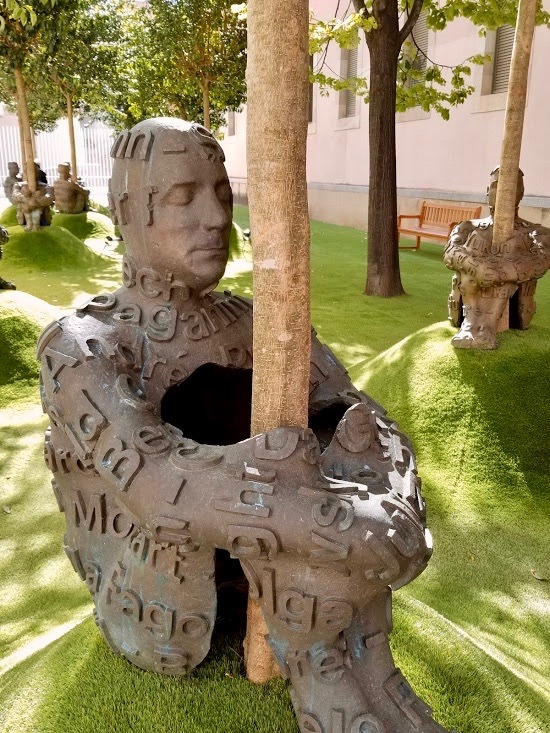 The work was done by Jaume Plensa, who was currently the featured artist in their temporary collection. (More on him to come…) In addition, there is a vast permanent collection which takes the form of a series of rooms that display the progression of Modernisme along with a timeline of world-wide social, cultural and historical events. This is a fabulous way to get a sense of the movement and gain perspective on how it evolved. This piece hangs on the wall overlooking a two-story central reception area. I have new respect for an unmade bed. Just had to include this. Look closely, as you might be able to discern that the wall of curtains is actually tromp-l’œil, “fool the eye”. I stood there a long time appreciating this – right down to the shadows along the floor and drape of the “fabric”. 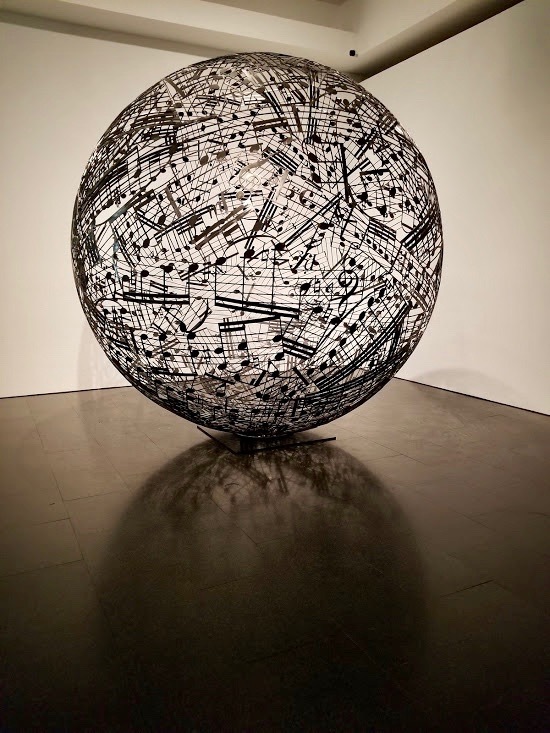 More from Jaume Plensa. 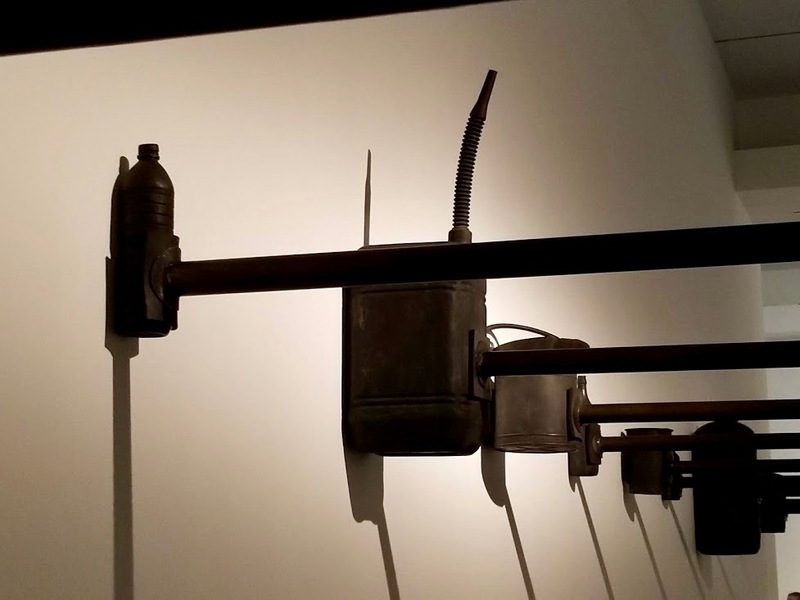 Part of the intrigue with his work is how he has it installed to play with light and shadow. Putting Music in the World. 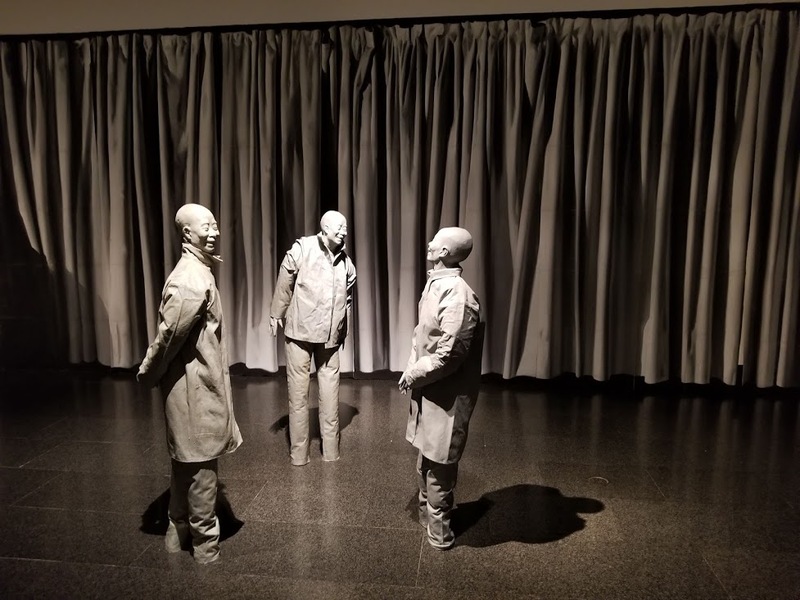 In the gallery corridor was a life-size floor to ceiling photo of Plensa’s studio. In each of these photos you can see his progress on work that was included in the exhibit. 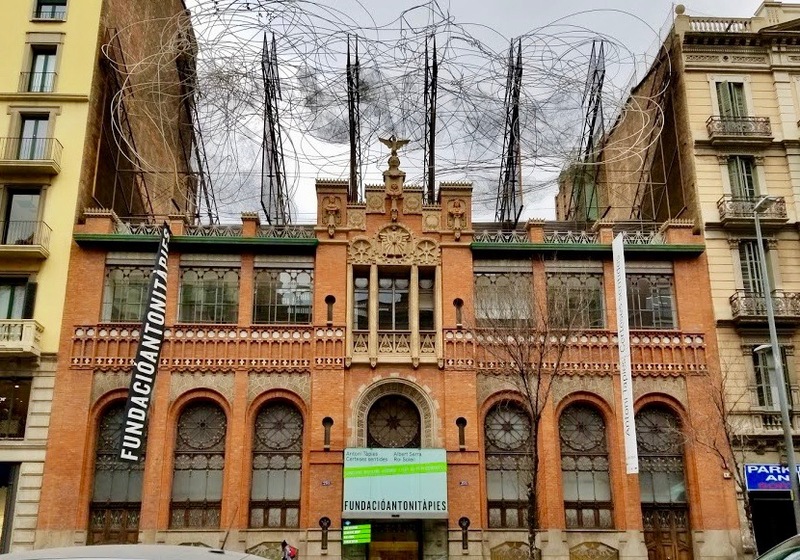 The Fundación Antoni Tàpies with its rooftop of what looks quite a bit like spaghetti. Truthfully, this was not a favorite, the outside being more interesting than inside: that Modernisme-detailed facade. Our final Barcelona museum was Museu Picasso. We went during the evening after having a scrumptious meal of paella and grilled squid. (When in Catalunya…) So very glad we had prepurchased the Articket as the event was sold out, but our passes got us in. Of note: “Olga and Paolo: la sopa”. 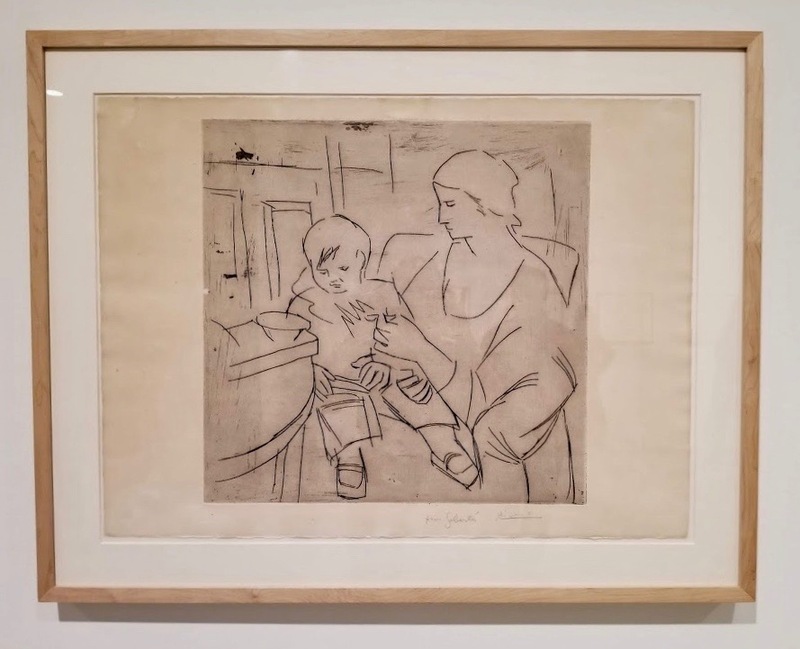 This etching, on zinc, shows Picasso’s first wife, Olga, feeding their son, Paolo. Picasso often pictured Olga as a perfection of motherhood; yet perversely, he began relationships outside their marriage almost immediately after their son was born. It became an unhappy relationship but Picasso refused to divorce her, effectively denying her financial support and access to his works. 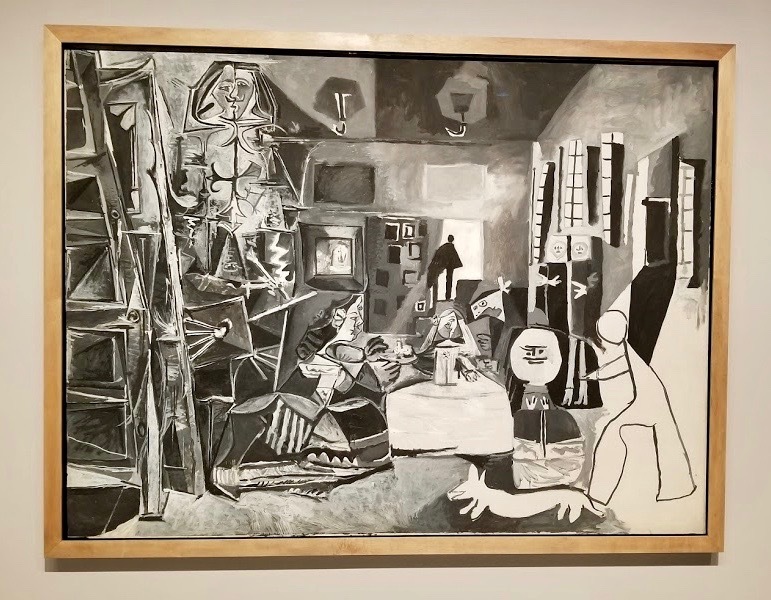 Picasso’s take on a Diego Velázquez painting, Las Meninas. 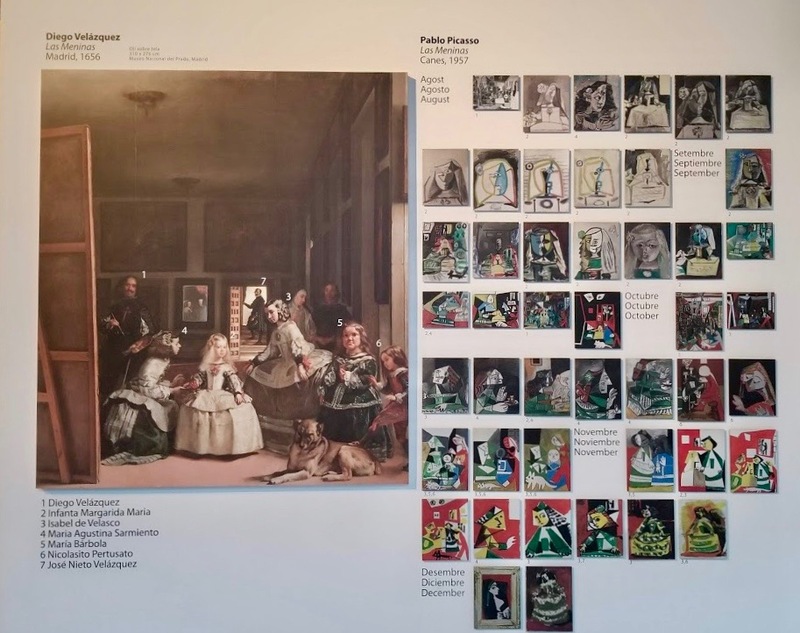 Copy of the original work and Picasso’s work studies for what would become his version of Las Meninas. Fascinating to see the progression. Between the museums there were the city sites, where every building seems to take a statement and art is incorporated everywhere. Miró gives shade to a city park. 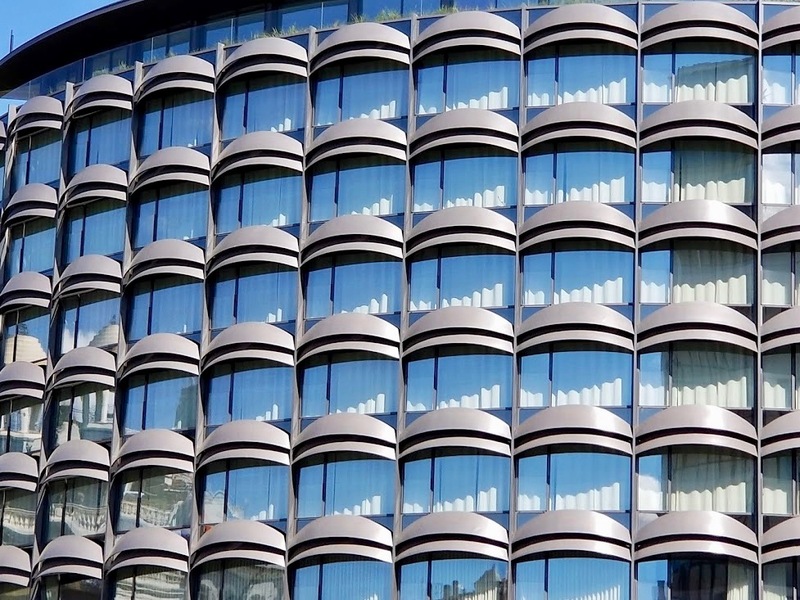 Great steel spheres collect over intersections. No tour of Barcelona would be complete without a stop at La Sagrada Familia. 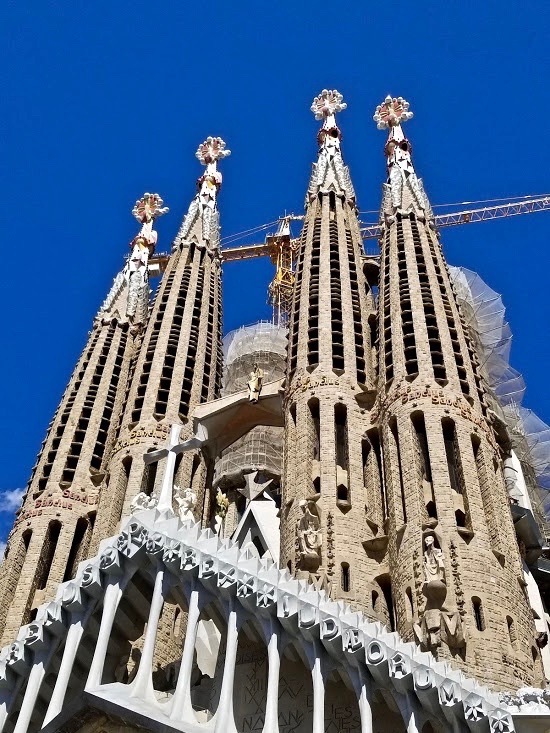 Cathedral building began in 1882, and architecture supervision and completion was taken over by Antoni Gaudi in 1883. He devoted his life to this project and is buried in the crypt. Construction has been a roller coaster affair, with interruptions for the Spanish Civil War, an attack by anarchists who burned sections of the building, and a break-in during which the plans for the building were torn up and largely destroyed. However, the work is on-going and is estimated to be 70% complete. Evidence of construction can be seen everywhere. Eventually there will be six more of these spires atop the building. Modernisme meets religious edifice. 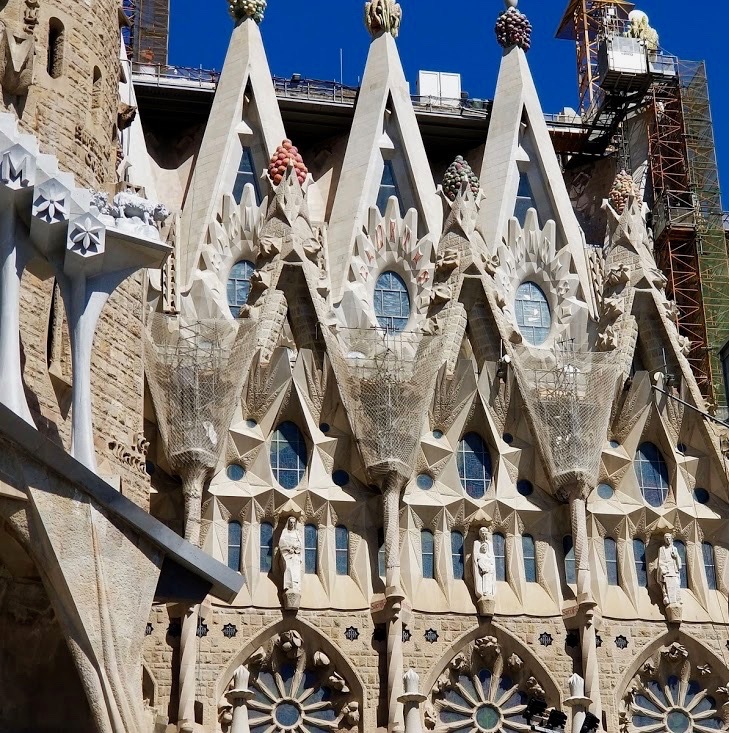 Most of the church’s structure are to be completed by 2026, the centennial of Gaudí’s death; decorative elements should be complete by 2030 or 2032. We saved Dalí for our final outing. 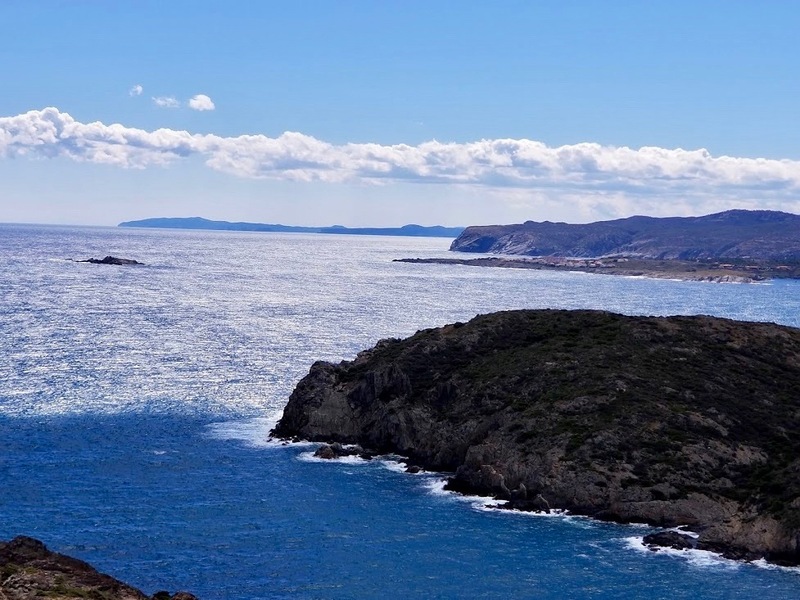 Driving to Port Lligat near the city of Cadaqués was a wonderful way to wind up our escapades along the Costa Brava. 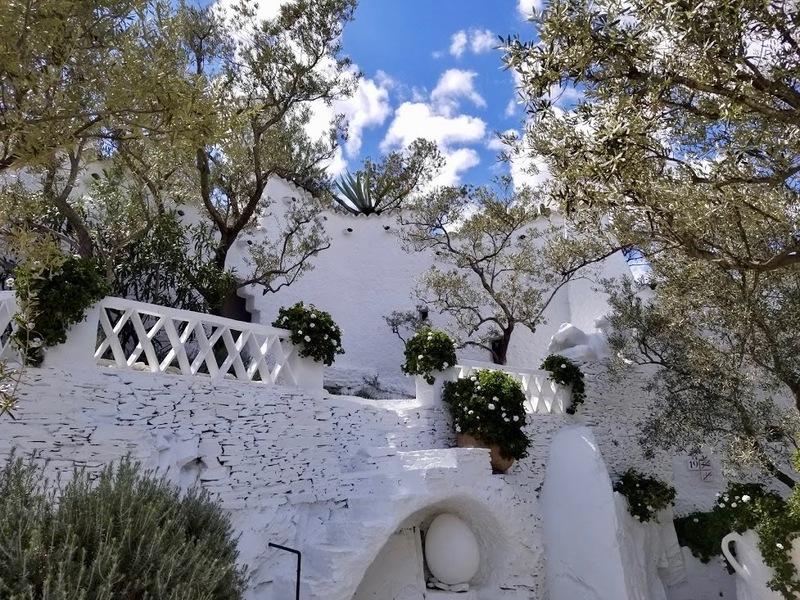 Dalí’s intriguing home, actually made from seven fishing cottages and assembled over a period of years, is exactly what should be expected: a surrealist’s dream. 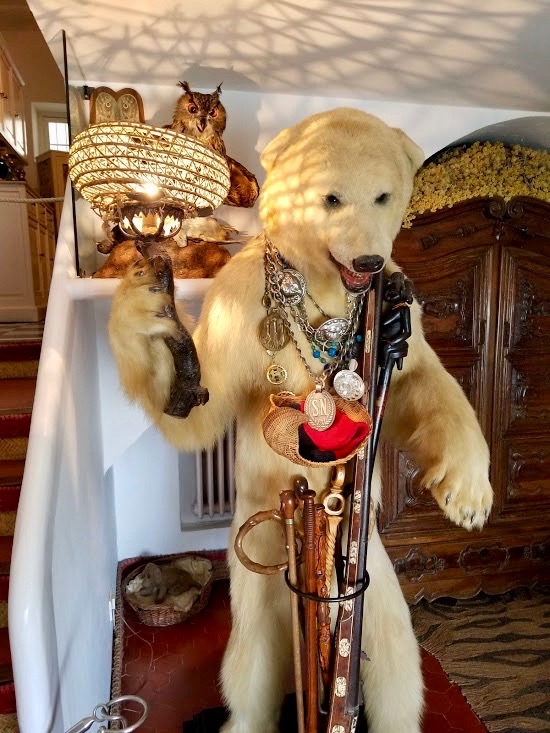 In the entryway visitors are greeted by a stuffed polar bear which also holds a collection of Dalí’s canes. The lampshade is a repurposed fish trap. The yellow dried flowers are ubiquitous, and all the rooms hold their distinctive fragrance. 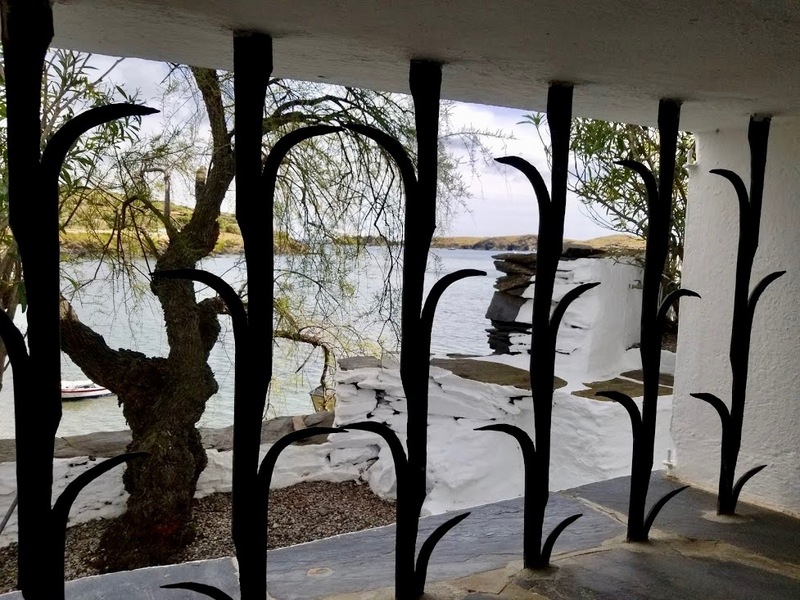 Owner-designed window grills and a stunning view. 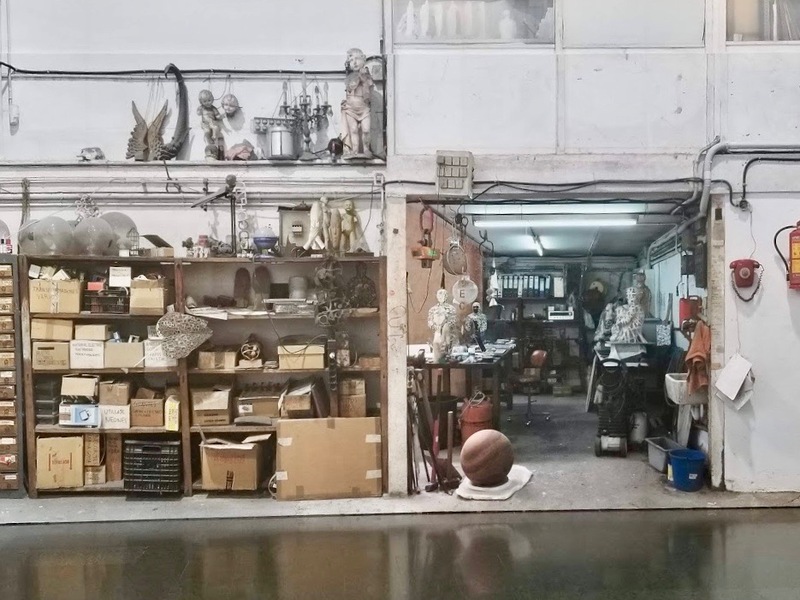 The artist’s atelier. When Dalí’s wife and muse, Gala, died Dalí left this house, taking nothing, and did not come back. 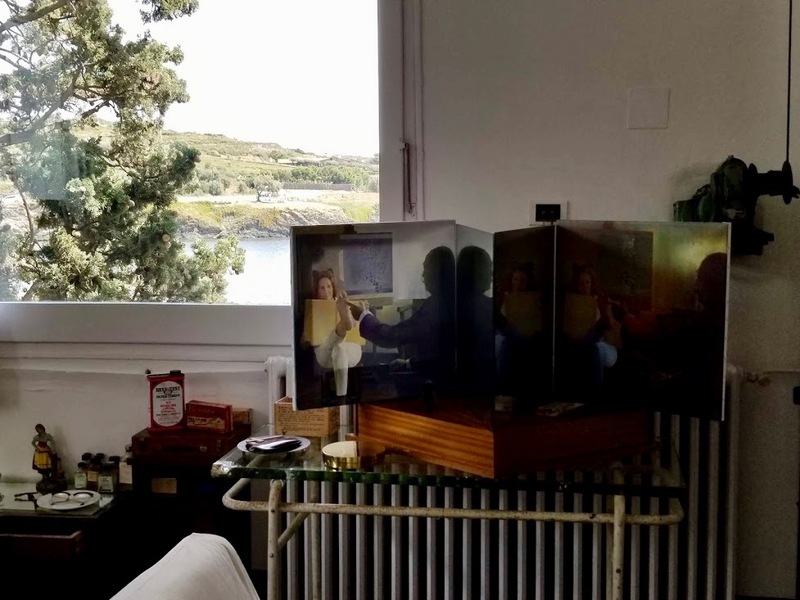 Almost all of what is in the house is original, though books and all but two original art pieces have been moved to the museum for conservation purposes. 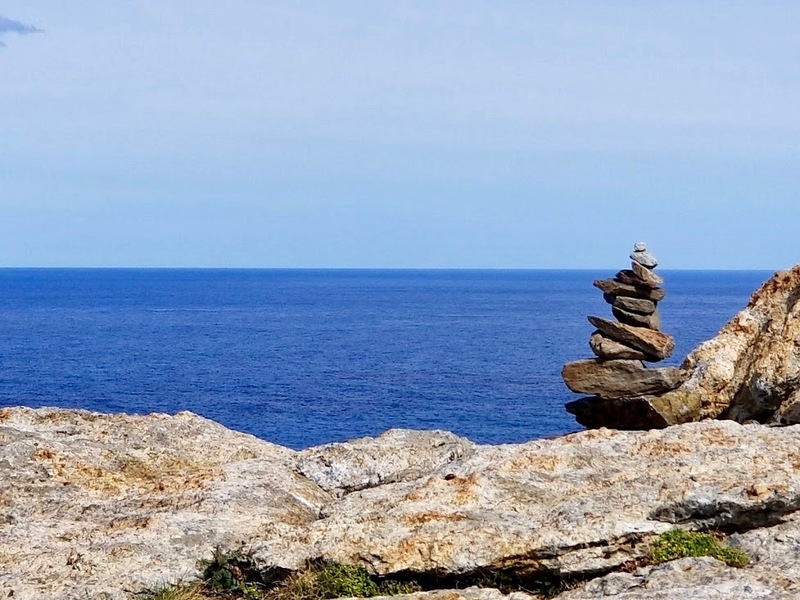 Just a short distance from the Dalí House is a panoramic overlook and lighthouse. We enjoyed the views, a bite of late lunch, and the tranquility of the setting. Needless to say, we loved it! For every photo in this blog I have 10 more I could have added. When we are back in the states you are welcome to stop by for a full viewing. Tapas included, of course. It makes me feel like I am close to people I care about when I share experiences. I even take certain photos with dear ones in mind. We have been so fortunate to have this opportunity! Wonderful photos and commentary, Constance. 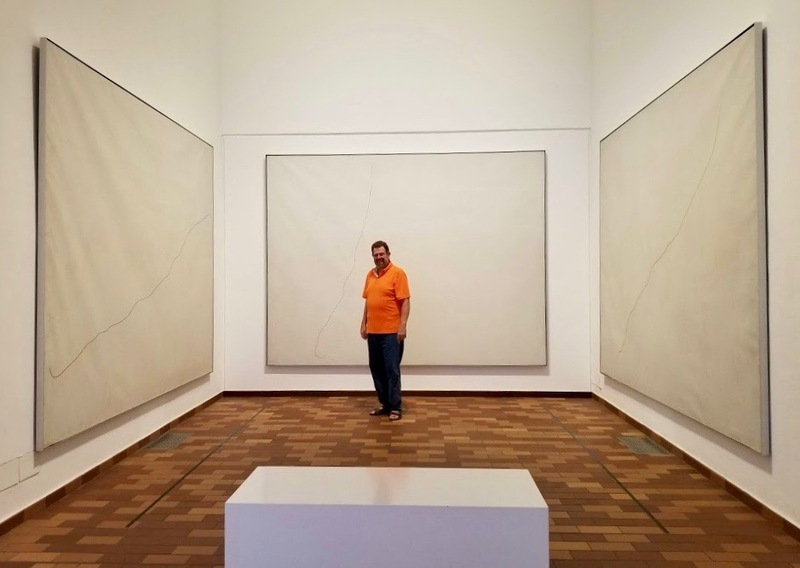 I don’t know how you did that many museums in one day — especially with Bob recovering from the flu/cold. Hope he is much better now. I love hearing about your travels and even seeing a glimpse of you in some of the photos! Liz – You give me too much credit. Our museum race was over 2 days and the Dalí was a separate outing… but we did keep a good pace. 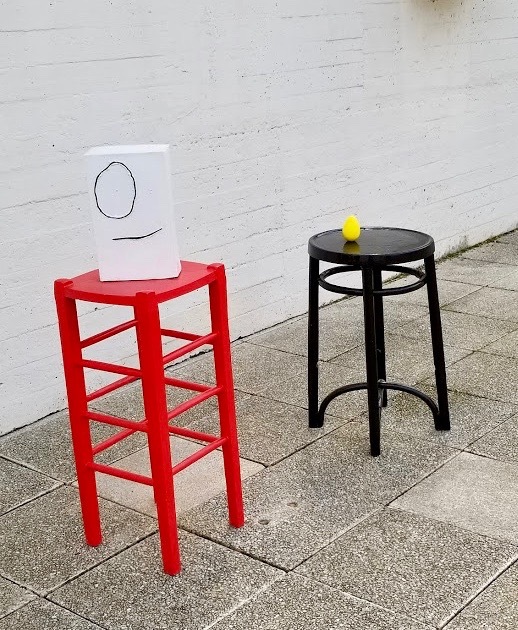 It was a different style of visiting from Mexico where Squares and Zocolos provided quiet contemplations – though there were plenty of parks and other opportunities for people watching. Hope your rehab is continuing to go well – maybe even totally back to full speed?!? You just let me know. We are playing around with ideas for next winter and will keep you in the loop. Love you, Joey! No Parque Guell? I loved and bought a print of Las Meninas when I was there. I think I’d seen the original painting in Madrid. 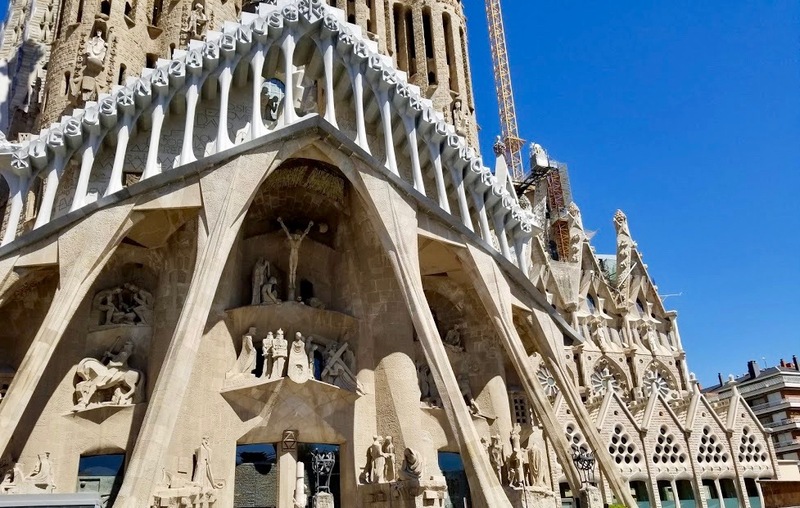 🤔 Didn’t realize Sagrada Familia is so close to completion. So very exciting! 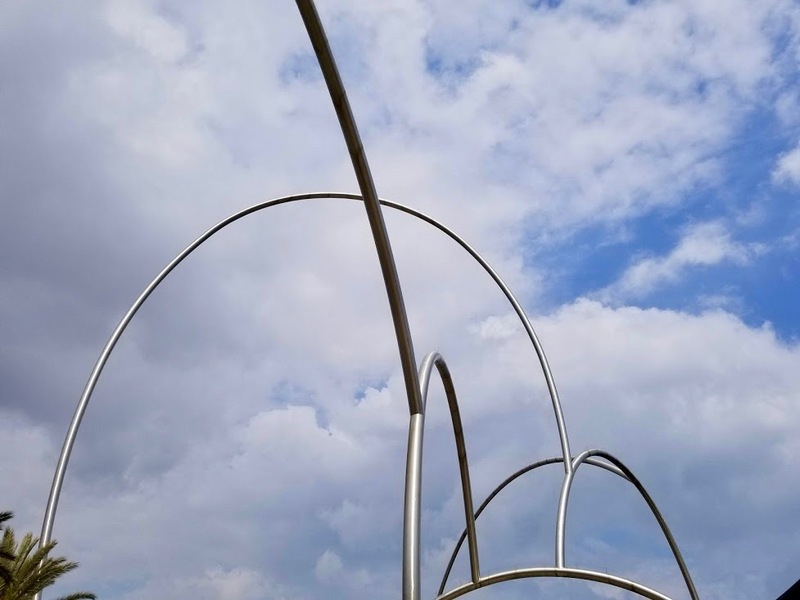 Will you make it over to Pais Vasco to see the Guggenheim? It had just opened when I was there in 2007. I long to return to Algorta, the little fishing village (outside of Bilbao) I called home for a semester. Oh – the Park was on our list, but the fates conspired and a strong cold wind and pelting rain caused us to make an executive decision to just see a tiny bit of the park before heading for shelter. I knew my feelings about the place would be unhappily influenced by the wet and cold and want to save it for a day that holds more promise. Besides, Bob was just now getting past a 6-week bout of cold/flu and we were staying cautious. 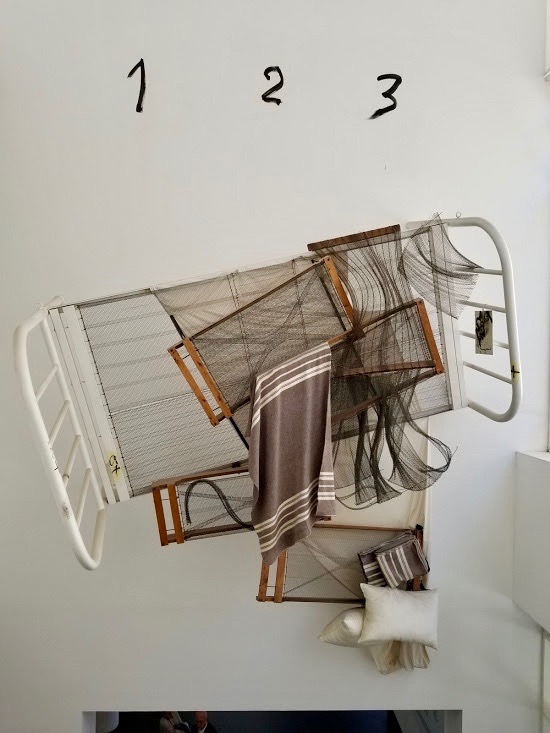 We have two weeks coming up in May in Basque country (on the end of our circular journey through Spain & Portugal) so yes to Pais Vasco and Guggenheim. One of the weeks is actually a cottage outside Bilbao, so we may be able to check out Algorta. Grateful for this trip of a lifetime!